Rescue Jimmy within 10 seconds. Deliver Amanda's car with minimal damage. After the end of the intro cutscene, get in the Amanda’s Sentinel with Franklin and head to the destination. There is no sense to strongly rush, better keep the car intact. 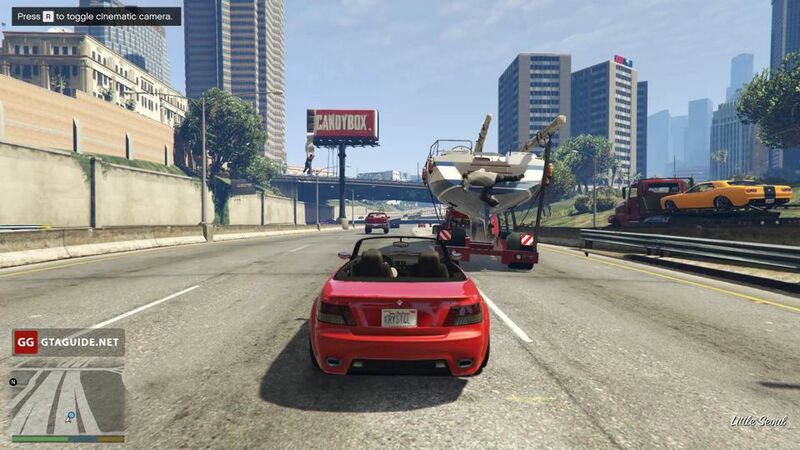 Right before you drive up to the highway, the truck with Michael’s yacht will appear to the right. Sit on its tail and don’t try to overtake it. 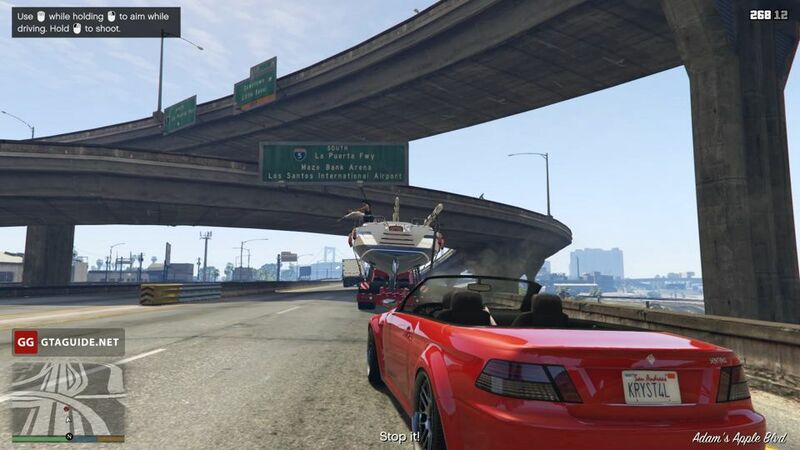 If you’ll stay close enough and will drive the car smoothly, Franklin will jump onto the yacht as soon as you exit the tunnel. 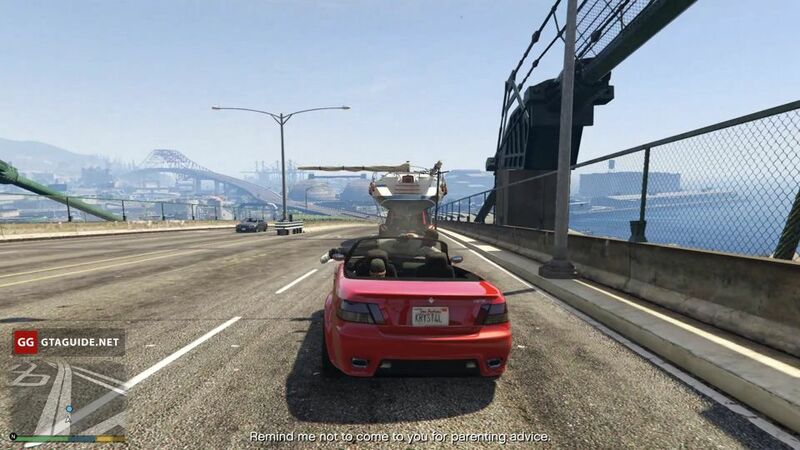 Franklin will get rid of the first enemy by himself, but you’ll need to shoot the second from the car. After a while, Jimmy will hang on the boom and you’ll need to catch him. To get the gold medal, you need to do it within 10 seconds. 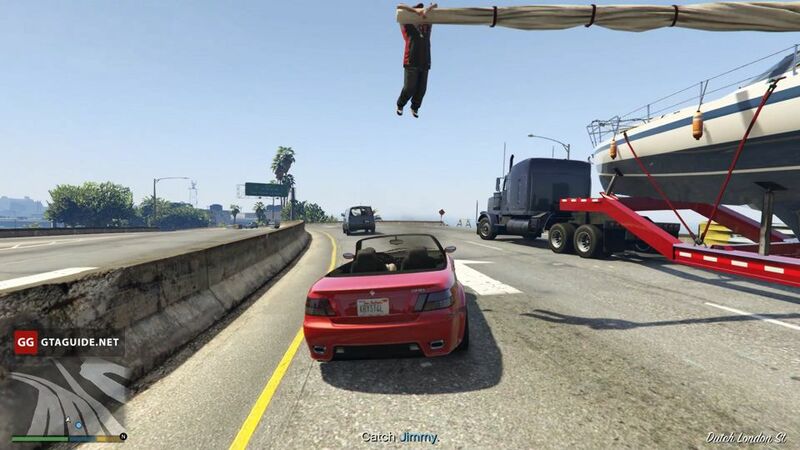 Don’t wait for instructions of the game — keep the car steady under Jimmy so that he can jump into the back seat. 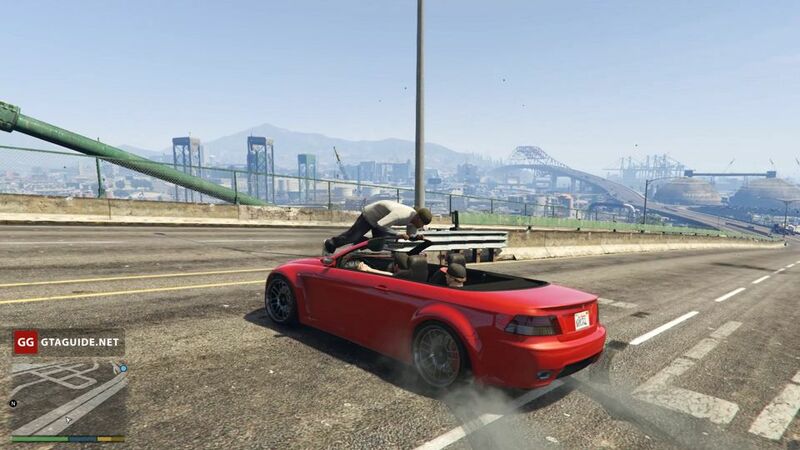 Then again hang on the tail of the truck so that Franklin can jump off the yacht back into the car. 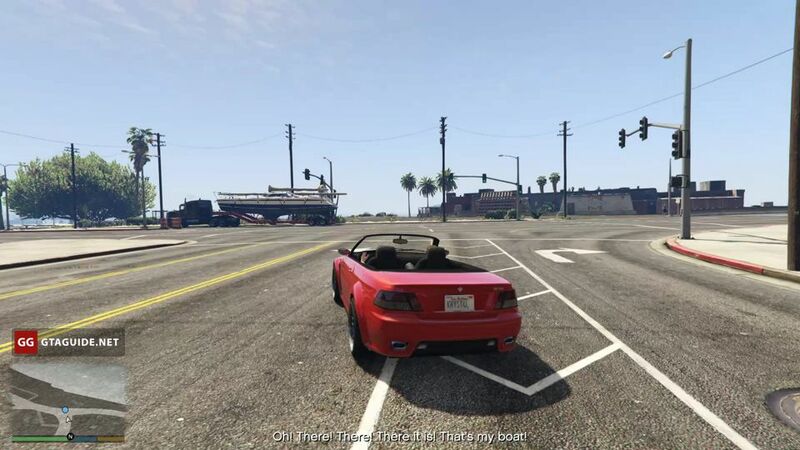 After it happens, you can turn around and drive in the opposite direction. 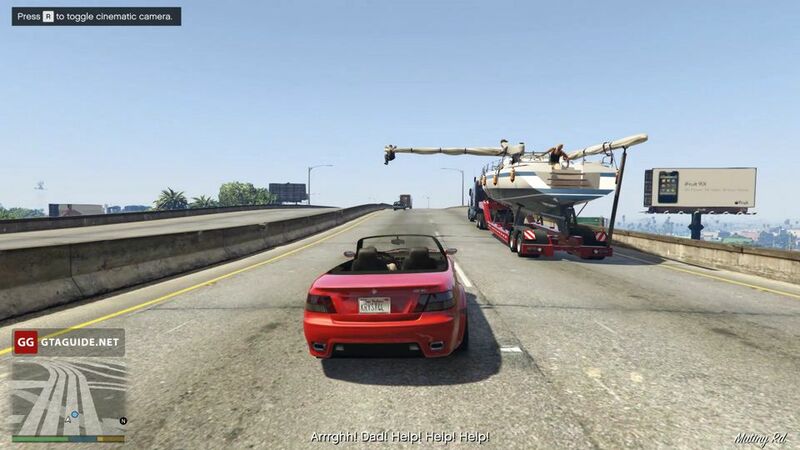 Under the scenario, the engine will break and the truck with the yacht will leave anyway. 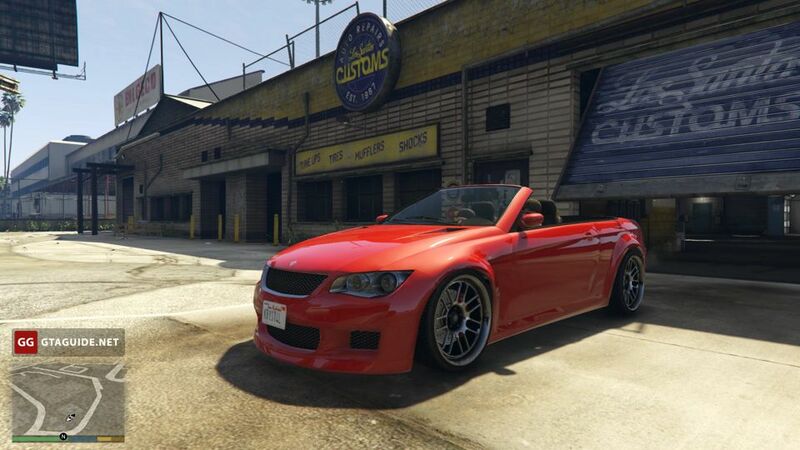 Now your way is in Los Santos Customs. 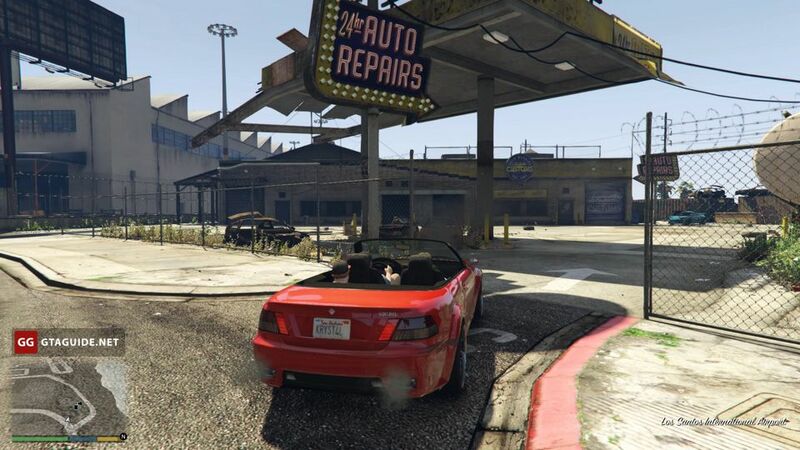 After you get there, Michael will give Franklin money to repair Amanda’s car and will leave away by a taxi. 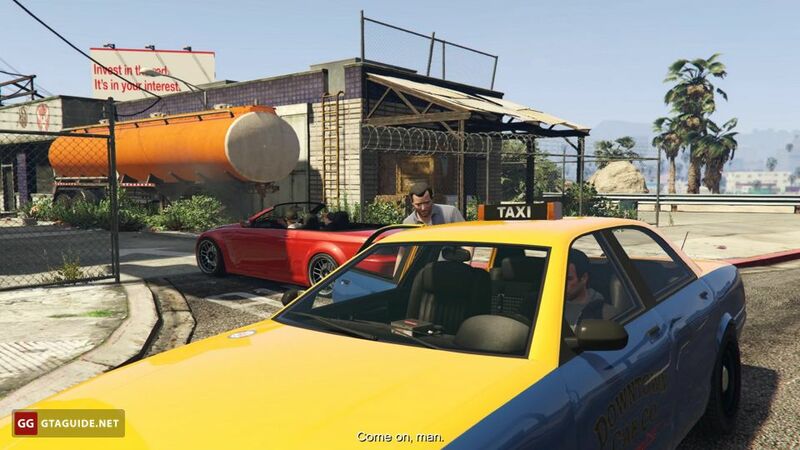 The taxi in GTA V is approximately the same as in GTA IV. You can take a taxi by the phone or right on the street. After getting in the car (short press on the button) you need to choose a destination and the driver will take you there. You can hurry the driver or choose another destination point. The trip can be skipped for an additional fee. In this case, you will almost instantly find yourself at a destination point. This method is often preferable because taxi drivers often encounter other cars, drive away the road and get stuck on impassability. If you skip the trip, it will never happen and you will not need to take a new car. If you want to hijack a taxi, hold the button of entrance. 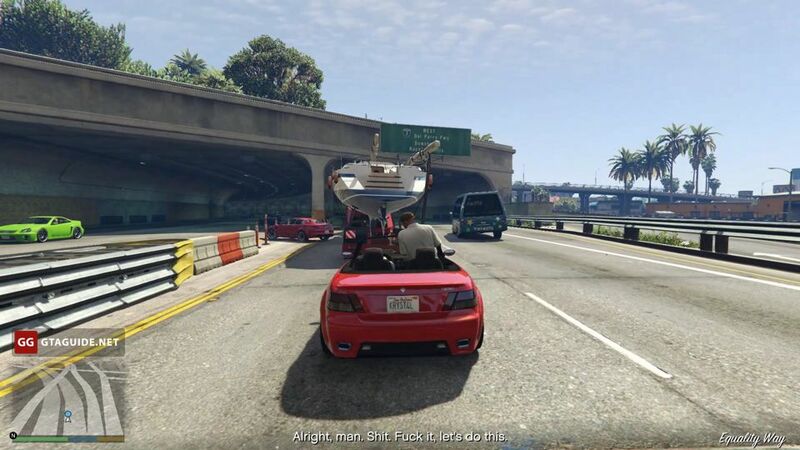 In this case, the protagonist will throw the driver out of the car and take his place. 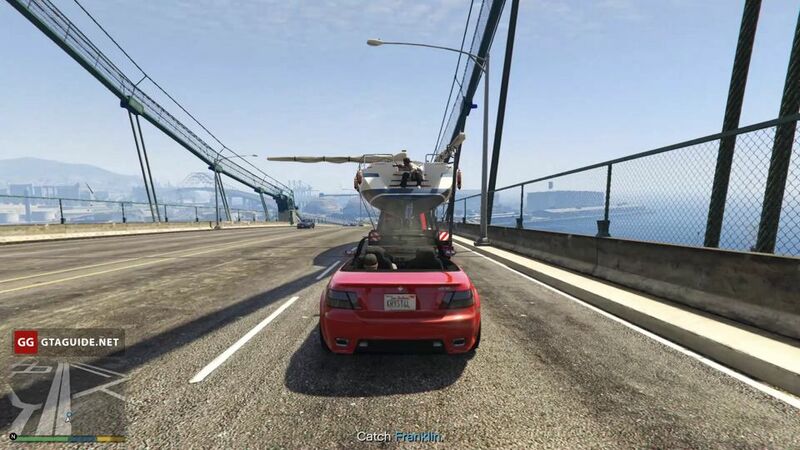 If you got to the destination, and you can’t pay to the driver, there will be one star of wanted level. Using a taxi in missions where the time for getting the gold medal is limited will lead to the non-fulfillment of the time requirement. 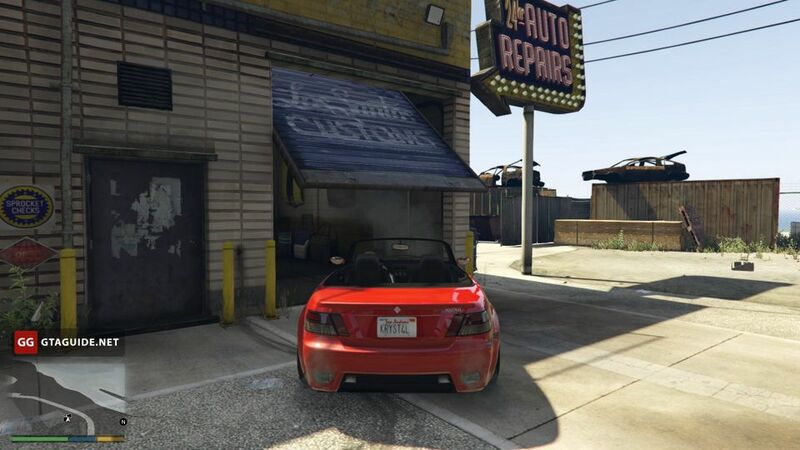 Drive into the garage and repair the car. 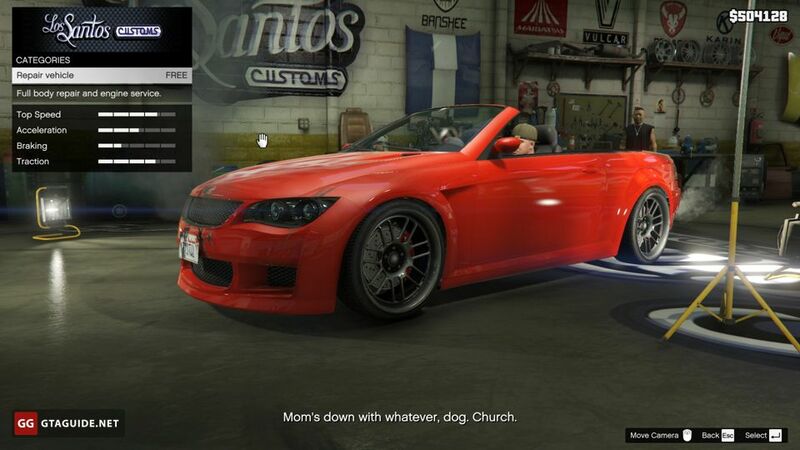 Then leave Los Santos Customs and head to Michael’s mansion. Drive carefully: the second condition for getting the gold medal is delivering Amanda’s car to the house with minimal damage. 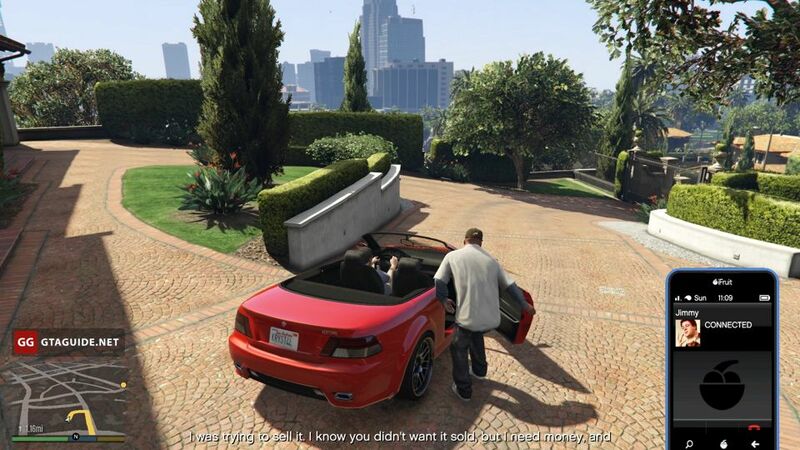 As soon as you deliver the car, the mission will be completed. 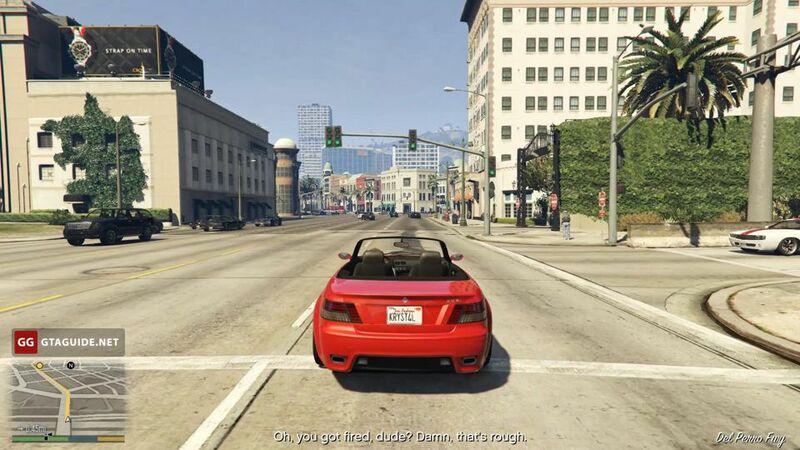 The song that Michael listens in the introductory cutscene is “I Don’t Care Anymore”» by Phil Collins. 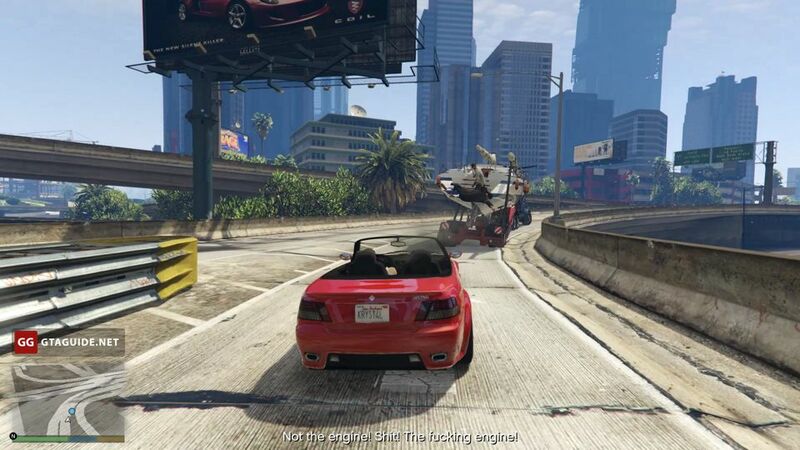 It can be heard on Los Santos Rock Radio. 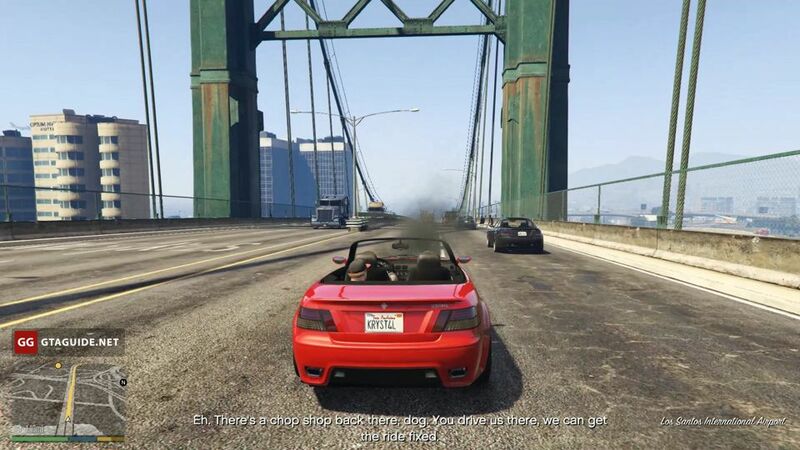 This is the only time in the game when more than two people can travel in a two-door vehicle. Nightclubs in GTA Online are businesses included in the game as a part of the After Hours update. Any of the ten clubs can be purchased at the Maze Bank Foreclosures website. 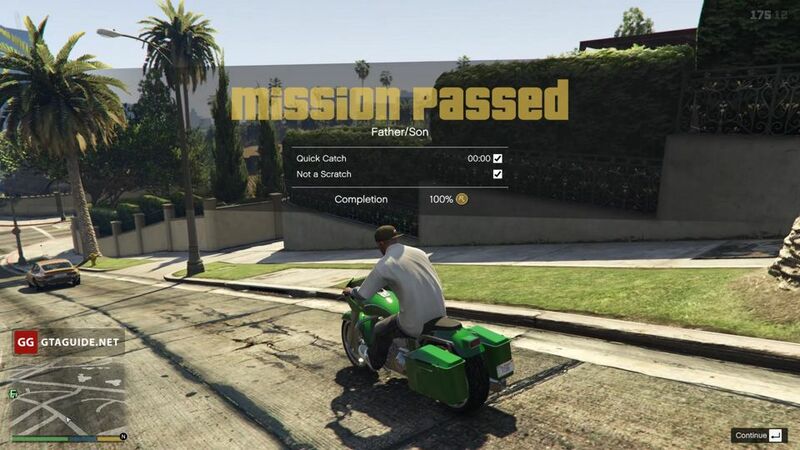 Client Jobs in GTA Online are Freemode missions which can be started in the Terrorbyte’s Nerve Center.